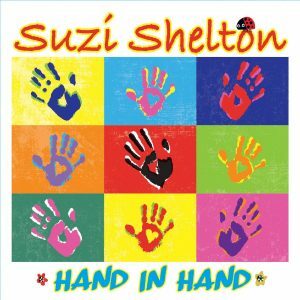 I have been a big fan of Suzi Shelton’s latest album, Hand in Hand, ever since I first heard it way back in June. The lyrics are fun and engaging and the instrumentation uplifting. This combination makes many of the songs stick in your head so that you find yourself randomly singing them in the shower, in the car, or even at work (being a children’s librarian, no one even gives this a second glance). One of my favorite songs, “The Grass is Always Greener,” now has a green screen video that was shot at YouTube Space NYC to go along with it. Featuring Suzi, her bandmates and a delightful assist from Tim Kubart, this is the perfect way to start off the week. I hope you enjoy it as much as I did. You know when you listen to a Suzi Shelton album you’re in for a good time and Hand in Hand is no exception. A joy to listen to from beginning to end, Shelton’s latest album showcases her own brand of upbeat pop music filled with feel-good melodies and catchy lyrics. Each song is moderately paced allowing listeners to catch every word making each tune highly singable, while the arrangements are sophisticated yet simple enough to allow a variety of instruments (saxophone, electric guitar, trombone) to shine. Several of the tracks on Hand in Hand would work well in storytime or early childhood programming. The opening song, “Put Your Hands in the Air,” is a great movement song that is performed fast enough to hold the attention of the young participants, but slow enough for them to catch the instructions that take them from making a joyful sound to stomping their feet to jumping up and down. “Ladybugs” could be made into a fun, interactive song using flannel board pieces, ladybugs on sticks, etc. as the participants count down from five to one in this jazzy version of the traditional rhyme. The tune “Blue Fin” would be fun to use with scarves as different colored “fins” are swimming in the water. Additional highlights include the very poppy “Never Let You Go,” the island vibe of “River Come Down” and “Raindrop” which incorporates a fantastic new version of “It’s Raining, It’s Pouring.” Much like most of the songs on this album,”The Grass is Always Greener,” a duet with GRAMMY winner and former Sprout TV host Tim Kubart, will have listeners singing and smiling along. Hand in Hand is a true delight that should not be missed! Just in time for planning summer programs comes Dana’s Best Jump & Jam Tunes. 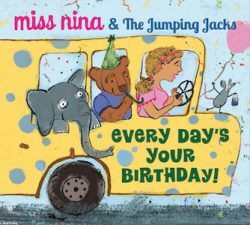 This high octane album is filled with songs that would be perfect during library storytimes, summer camp dance breaks or just getting the wiggles out at home. 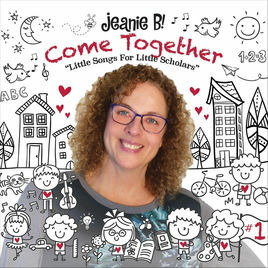 Dana Cohenour’s 20+ years of experience working with children is evident in the way that she crafts each song to engage children from beginning to end. The opening track, “Jump and Jive” is perfect to get kids up and moving while songs like “Jumping Beans,” a fun freeze dance will keep the kids (and you!) jumping to the beat for almost three full minutes. The only song not written by Dana is the traditional, “Five Green and Speckled Frogs” which in this case is set to a rousing bluegrass beat. Also included are the story song “Fish Tale” and the beautiful closing track, “I Love Mommy” which sends love to all members of a child’s family circle. There are several songs from this album that would be great additions to storytimes. My favorites are, “Follow the Leader” which gets kids moving like a wide variety of animals, and “Legs,” a funky tune that has kids counting the legs and moving like a different group of animals than are found in the previous song. (With a running time of 4:10 min. you might at first worry that this is too long for storytime, but never fear, it keeps kids very engaged and waiting to find out what the next animal is going to be.) Also on the album is a new shaker song, “Shakin’ Things Up.” It has a moderate tempo which helps children follow the instructions, and works to get much of the body moving. Finally, there is “Wiggle Workout.” This may be a bit much for storytime, but could work well in a home or exercise/movement class setting. Take a look below. Dana’s Jump & Jam Tunes is an excellent resource for librarians and teachers and would make a great addition to circulating children’s music collections. 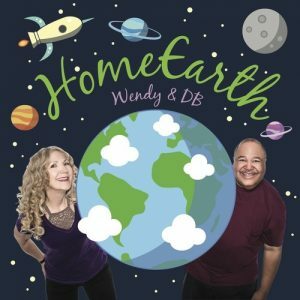 Out just in time for Earth Day program planning, HomeEarth by Chicago duo Wendy & DB, is a real treat. The album opens with the title song “HomeEarth,” a fun introduction to the planets and the galaxy, then takes listeners to ground level where the importance of living things is explored. “Olly the Orca,” “Bugs That Give Hugs” and the joy of growing a garden and giving to others in “Plant a Seed” are all given their moment to shine in the sun. Many of the tunes on this album could easily be incorporated into programming or storytimes. The songs “Buzzin’ Bee Be Happy” and “I Like Bees” would be great tunes to build a bee awareness program around. After sharing information about bees, attendees could make bee themed shakers then “perform” to one or both of these songs. Need to get the kids up and moving? Try “Hopscotch” which pays tribute to the classic children’s sidewalk game, or “We Bop” which instructs listeners to Take two steps hop one back/Turn it around jump off the track/and STOP We Bop. Quick tempoed, these songs will help children get the wiggles out and be ready to listen. Also included in this collection are several songs that would work great as conversation starters in classroom or family settings. “Water Song” talks about the importance of the availability of water and digging wells around the world while the themes of diversity and acceptance are emphasized in “People are People” and “It Takes All Kinds of Trucks (Folks).” On a very basic level, “It Takes All Kinds” is a comprehensive list of the wide variety of trucks that are used throughout society and will be of great interest to those really young ones who are going through a truck phase. At a higher level, older listeners will hear the message of acceptance woven in among the trucks. The upbeat tempos, catchy melodies and smart lyrics highlighting the importance of loving the Earth and everything on it, makes this an album that librarians, teachers and parents will all love. Chicago-based Little Miss Ann and Amy D (or Ann Torralba and Amyliza de Jesus as they are known in their daily lives) have teamed up on their first album together and I, for one, certainly hope that it isn’t their last. 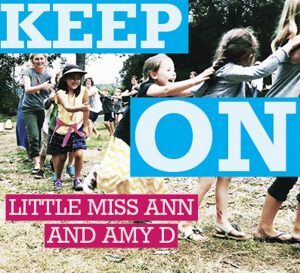 Keep On is a great combination of new songs and old, many of which are perfect for storytime. Songs such as “Ube” about a purple yam and “L.O.V.E.” will get little ones singing and dancing the wiggles out while “Shake and Sing” would work as an energetic clapping/shaker song and “Hill and Gully Rider,” which features 123 Andres on clarinet, is a really fun tune to get storytime participants moving and interacting with one another. In addition, the delightful “The Senses Song” assigns a letter to each sense along with things that start with that letter. Hear is the letter “M” and some of the things listed that may be heard are music and mama’s voice. Taste is the letter “H” which includes hot chocolate and horchata, See the letter “B” for butterflies and bumblebees, Smell is the letter “L” for lemons and lychee, and Touch and Feel the letter “G” for green grass. This song could easily be used with the flannel board where each item is added to the board as it is mentioned in the song. Other songs included on this album are a cover of “Tiptoe Through the Tulips,” a pretty straight forward version of “Where is Thumbkin?” and the original tune, “The 606” which Chicagoans will recognize as an ode to an innovative area in Chicago which connects four neighborhoods and incorporates the arts, bike and trail paths, and event spaces. Little Miss Ann and Amy D have a wonderful sound with voices that blend beautifully and much of the instrumentation is provided by power producer Dean Jones. Each song stands on its own and with so many that would work for storytime, this is a must have for anyone who presents programs for little ones, or just spends a lot of time with them. 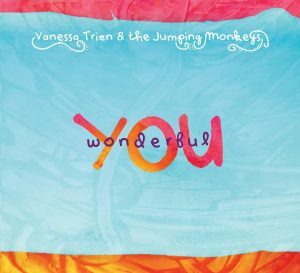 Boston based Vanessa Trien and her band the Jumping Monkeys return with an album that will delight and engage young listeners. Known for an acoustic folk-pop style all her own, Trien crafts songs that tell stories backed by melodies that cross many genres. Beginning with the jazzy title song, “Wonderful You” and continuing on through “All Together Now,” and “Circle of Friends,” this collection of tunes celebrates friends, family and YOU, the listener. Many of the songs, like “Fireworks,” have choruses that are so irresistible, you can’t help but sing along with them. After one stanza, I bet you can’t stop yourself from joining in on Pow pow sizzle sizzle pow pow zoom/Pow pow sizzle sizzle bim bam boom. There are several songs on this album that would be fun to use in storytime. “Monkey Jump” is perfect for those times when you want the kids to get all the wiggles out. Along those same lines is “Chi Chi Bom Bom” a cumulative tale set to western swing about a child who marches to her own drum. Throughout the song, she counts and she twists and she waits for a bus that is late. Still interactive, but a little quieter is the reggae-style song “Round and Round We Go.” This celebration of the Earth implores listeners to Lift your hands up, make a circle like the sun/Wiggle fingers, shining light on everyone. 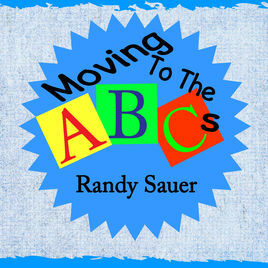 Excellent musicianship, smart lyrics and wonderful melodies make this an album that would be a great addition to storytime classes or for family listening. 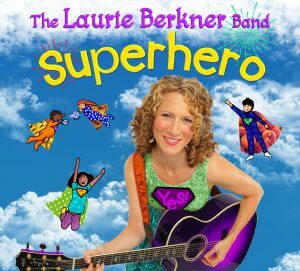 It has been eight years since Laurie Berkner released an album of all new music, but it was certainly worth the wait. Superhero is packed with 21 brand new songs that will delight and engage young listeners. The overarching theme of self-empowerment is evident in tunes like the title song, “Superhero” and “I’ve Got So Much To Give” while emphasis on using your imagination is featured in “Bubbles” and “Tea Party.” Special guests, Ziggy Marley, Brady Rymer, and Kira Willey add to the fun. Not only is the album filled with great themes, but it’s also filled with music that would be great for storytimes. The song “1-2 Hands” which counts eyes, toes, fingers, etc. and “Face to Face” would work well in toddler storytimes where children and their parent/caregiver can interact. For preschool storytimes and above, “Bicycle” can get kids moving (if you’re not keen on kids running, have them act out the speed of the song with arm movements) as does “This Is How I Do It” which encourages jumping, shaking hands, shaking knees and dancing. Simple lyrics also make this a great sing along. If you host a music program or smaller class, the song “The Music in Me” could easily be adapted and used as a welcome song. With so many uses, this a must have for staff. Make sure the parents have access to it too, because once the kids hear it, they’ll be clamoring for more!